It would seem that the feelings of a given person rely soley on the individual. Factors such as upbringing, experience, and environment do not apply beyond determing the character of a person. That is even to a lesser extent. A person takes these things in a shapes them as they see fit. It is with this understanding that the only person that could, or I dare say, should be blamed for any misgiving is the original transgressor. It would seem that we as a collective fall into a lesser hive mind. We react to stimuli like a herd of sheep. A person is smart, people are slow, panicky, and disastrously stupid. Oddly, through the actions and ideas of one, others may expand upon said original idea or action. The evolution of technology is due only to individuals who realized that they could only rely on themselves. Surely, a team followed, but it was a sole being that started the process. It is surreal that we fall into this hive mind, that people cannot recognize natural leadership. Blame cannot be placed upon the group so much as the individual for not stepping forward. People instinctivly flock to a pillar, so to speak. One that can be relied upon.. In theory, the individual may not desire the burden of leadership, they may only want the simplicity of being sheep. 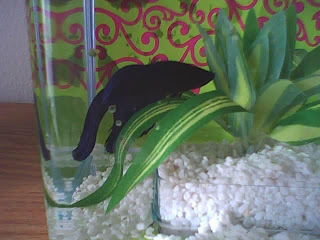 My fish died, happy birthday to me. I buy my Xbox 360 games in two ways. The first is that I buy them for myself. Examples would be Fable 2, Armored Core: FA, and Dead Rising. Others I buy with the thought that I'm going to be playing them with the in laws on Sundays. Left 4 Dead is an example of the latter. I read the reviews, looked at the videos, and finally decided to invest in the Game of the Year Edition. When I buy a game with the in laws in mind, I look for a few things. One is local four player. The other is simplicity. Left 4 Dead does half of this. To get the bad out of the way, I was greatly disappointed that L4D does not support local four player. For the life of me, I cannot figure out why. There are only four characters to play as, and even when played local co op, the computer controls the other two characters. It would only make sense that it would lighten the load on the processing if you had a four man team of human players. So what good reason is there for not including local four player? Simplicity, the other thing I look for, is done to amazing extent and done well. The controls are easy to grasp, and solid enough to not leave you wanting more. From healing to switching out items, it can all be done with a single button with absolutely no confusion. The game play is also simple, yet with enough room to form delicious strategies. You have four people and need to get from point A to B without the army of zombies in the middle stopping you. Each character can dual wield pistols and carry another, more powerful weapon. Most any obstacle can be overcome with brute force, but there are a plethora of opportunities to form solid strategies to make your progression that much easier. 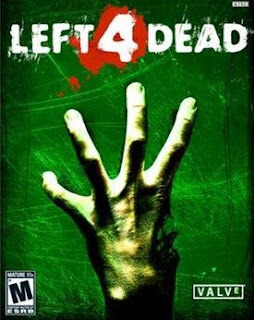 The really interesting aspect of L4D is what you don't see, and that is the Director. The Director controls what enemies spawn when and where depending on the player's performance. So, if your team is sucking it up, you'll encounter fewer "boss" infected and will find more powerful weapons earlier on. If you're doing well, expect a multitude of special infected and harder encounters with the horde. Essentially, the game scales to the players level of skill in addition to the ability to pick your standard degrees of difficulty. There's another Director as well, that controls the music each player hears. It's based off of the player's reaction to different themes and the infected they encounter. So when playing online, what you hear can be completely different from your teammates. It's a nice little touch that adds some more icing to the already delicious cake. The story is amazing without being overbearing, mainly because there is none. The only cinematic is the one opening the game. Nothing is ever explained as to how the outbreak started or even where the game takes place. Instead, you listen to the character's interactions as you play the game and read messages left on walls by other survivors. Most are humorous and keep the game from becoming too dark, while others are somber and set a proper tone for the tragedy that has taken place. The game takes place over different chapters, with survivors moving from one safe house to another. Towards the end of the chapter, you must summon a rescue and survive an onslaught of infected. Simple enough, but the levels are wrought with atmosphere and the interactions between characters add a depth rarely seen in games such as these. My biggest complaint, beyond the lack of local four player, is the length of the game. With a good team, each chapter only lasts an average of 45 minutes. There are only four chapters to play through with another in the form of DLC. I suppose if you play on PC, there's an abundant amount of player made content, but for the 360, I was left wanting. The only other complaint is the backgrounds in the game, or lack thereof. It's most noticeable in the wooded sections when you near the edge of a cliff. The background is usually a gray fog that stretches on forever. It just seems like a lazy effect that should have died with the PS1/N64 era. For your online selection, you can play through the campaign, practice your survival, or take part in a versus match. In versus, a team of survivors plays through the campaign while a team of infected players aim to bring them down in various gruesome ways. Unlike the regular campaign, dead survivors do not respawn later in the game. At the end of each round, the score is tallied up and winners cheer while losers rage on their teammates. The biggest issue with playing online is that people refuse to use their mics. Chat is absolutely essential to effective play. If I don't hear that you have a witch or hunter tearing you to shreds, I can't break rule 17 and be the hero. Beyond the minimal flaws, L4D is an amazing game and well worth the money. Whether playing online or off, there's never a dull moment and you're guaranteed to enjoy the majority of your play time.